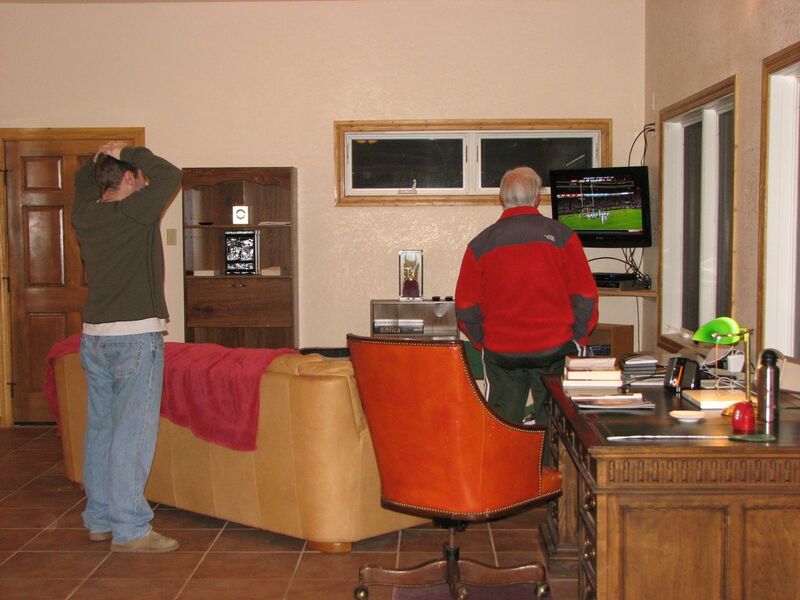 Here’s a pic of some of the guys watching the big game on Turkey Day. I think it’s interesting how no one is sitting down! You know, the game where the “other team” scored in the first 15 seconds of the game. The same game where our quarterback made an impressive run through all the players and down the center of the field for a touchdown not too much longer. 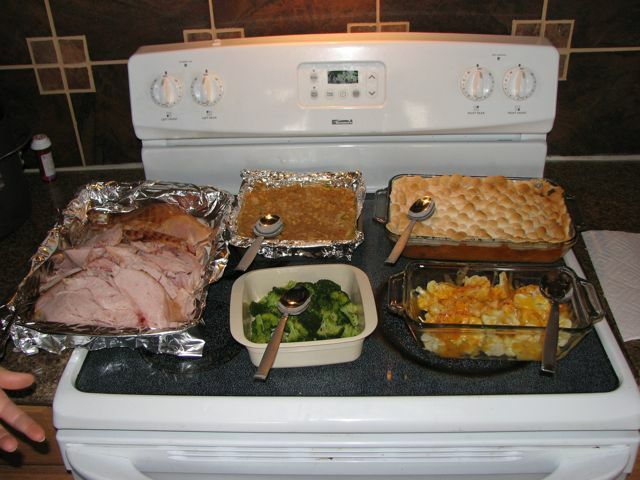 We had a great meal for Thanksgiving. Lunch occurred about 2:30, so I figure that was decent timing. My sweet brother did the shopping on Tuesday. We also made a trip to the store Thanksgiving morning, for a frozen pie crust. After sorting through the beautifully-arranged pile of groceries from the Tuesday shopping trip, while at the same time organizing everything for the upcoming bake-a-thon, I realized that we had sweetened-condensed milk instead of evaporated milk. Thus, we made trip number two to town. We stopped at the first store that was still open (approaching 10:30 A.M., but they didn’t have evaporated milk. We went to the next store, a “dollar store,” which did have a can of evaporated milk. I was so excited that I hugged the lady employee who was stocking shelves in that aisle! I am so thankful for my family and the opportunity to enjoy a wonderful meal with them! 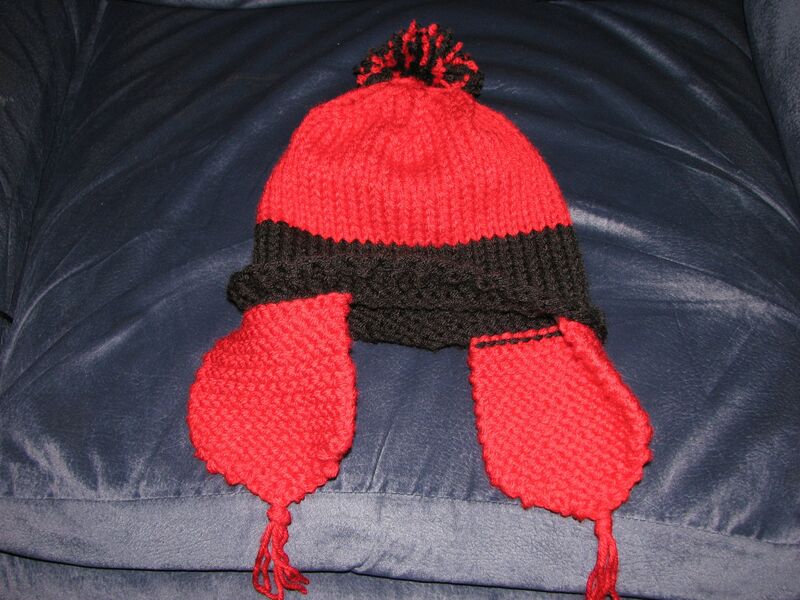 This is a Jayne Cobb ear-flap hat I made with Vanna’s choice yarn. I used black and red in order to make a Texas Tech hat. I’ve finally finished Week 2’s exercises. 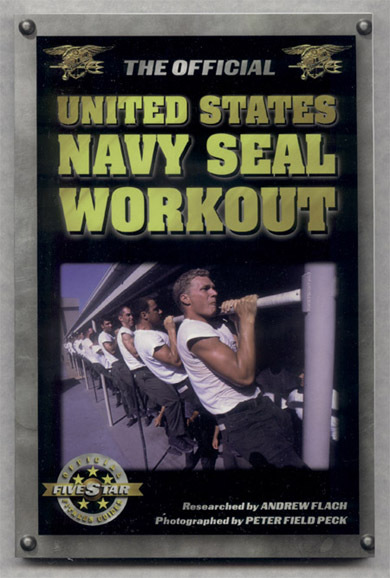 In a month, I’ve done 12 complete workouts from the Navy Seal workout book. I’m moving at a slower pace than what’s called for in the book, but at least I have an exercise program that I can use whenever I find the time or the motivation to exercise. This weekend, I got in some good walking. 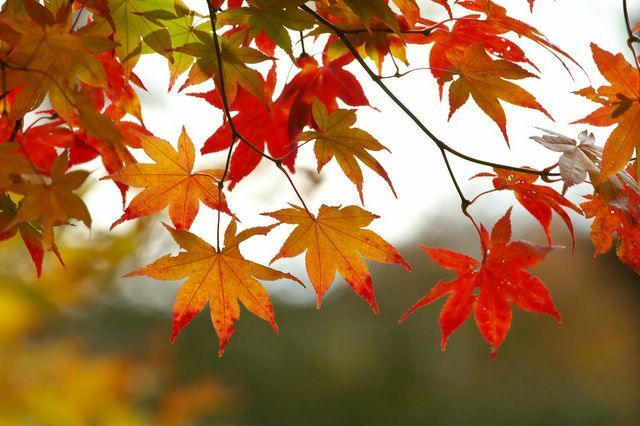 Even though the weather was cold, it was nice to get outside. Next up, I’m going to work on getting through Week 3’s exercises. There are 6 workouts, and I’m already working my way through the first one. I’ve done the walking, so now I need to do the push ups and ab work.